We are Kelowna’s first U-Brew/U-Vin. We have the largest selection of micro brewery style beers in the Okanagan Valley. 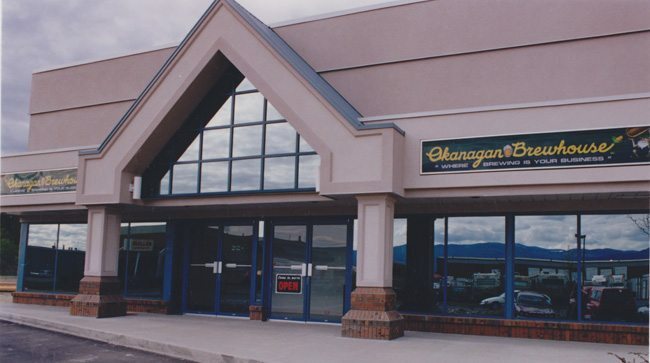 In 1992 the Okanagan Brewhouse was established by Bob & Holly who built a thriving business founded on the core principles of service and quality. After 19 years Bob & Holly retired and sold the Okanagan Brewhouse to Doug & Jude. Although some of the technology has changed today, we strive to give you the best possible service and the highest quality product in which our reputation was built. From light to dark and everything in between, we make Ultra-premium natural beers for every taste and price range. We also have a wide range of wine coolers to match most commercial product flavours. We also feature all the best wine kits from RJS Craft Winemaking whom have proven to be an industry leader and the number one kit provider in North America.